I’m thrilled to have this incredible opportunity to be the Director of Research and Development at the TANC lab. Although on one hand, this seems to be the culmination of many years of work on topics related to the brain, consciousness, and cognition (which I will describe below), on the other hand, I’ve been well aware that forming such a lab to investigate controversial aspects of time would be a long-shot. After all, funding for such work is especially difficult to obtain, and my advisors and mentors throughout the years have made it clear how risky such research endeavors are career-wise. Despite these risks, it has been curiosity that has driven me to keep pursuing this work. In this post, I want to give a brief overview of where this curiosity has led me over the past 20 years! The questions that most interest me are the big ones – for example, how do our minds work? How do minds arise from something physical, like the brain? 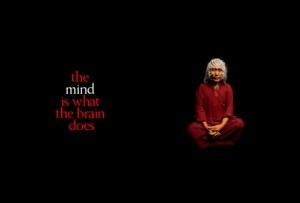 What are the mind’s capacities? What can learning more about the mind reveal about the nature of the universe and reality in general? As an undergraduate at University of Wisconsin, I decided majoring in psychology and zoology would give me the best foundation to get at these questions. At University of Wisconsin I had some great research experiences, first at the Primate Center, followed by volunteering in a sleep lab at the Psychiatry Department in the Medical School. At the time my main interest within psychology was dreams, lucid dreaming in particular, so it was exciting to get hands-on experience in a sleep lab. 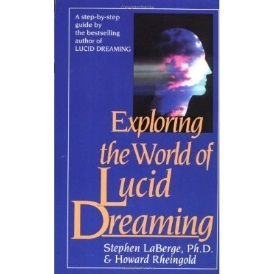 on a whim I sent a note to Stephen LaBerge, who literally wrote the book on lucid dreams, inquiring about an opportunity to work in his lab at Stanford University. Well, as luck would have it, he invited me out to his lab where I spent about a year studying lucid dreaming – the ability to become aware within the dream that you are dreaming. This was an exciting time, working evenings in the sleep lab with subjects who could reliably have lucid dreams in the laboratory and indicate this with trained eye-movements (the “lucidity signal”). To be able to watch the subjects’ brain waves and eye-movements in real-time from a separate room, and know they are in REM sleep and dreaming, yet see them indicating pre-communicated signals with their eyes was fascinating. It really felt like pioneering work – using the scientific method to explore the bounds of consciousness. At this same time I was first exposed to experimental parapsychology as a research assistant on a project measuring EEG during a telepathy experiment (a Ganzfeld procedure). After witnessing some intriguing sessions I became more open to the possibility that the current mainstream scientific worldview, which excludes phenomena like telepathy and precognition, may not be the final word on such matters. At this time I began to settle on cognitive neuroscience as a path for trying to understand important questions about consciousness. After all the common phrase of the day was, “the mind is what the brain does”, so why not study the brain to learn more about the mind. So after spending a year at Stanford, I pursued a master’s degree in psychology at Tulane University, gaining experience in EEG by doing studies on language processing. Then I went to University of Michigan for my doctoral degree, receiving a PhD in cognitive psychology, studying a range of topics on language, memory, and attention. My dissertation project involved work with fMRI, investigating how the brain processes order information. I also had the opportunity to work with trained musicians (this time as a researcher), examining the cognitive benefits of early and extended training in music. While pursuing this post-graduate work I still maintained an interest in more ‘fringe’ topics, and had an amazing opportunity to do a summer research internship at the Princeton Engineering Anomalies Research Laboratory (PEAR lab) investigating mind-matter interactions. Also, somewhat to my surprise, I had an opportunity to be a teaching assistant for a course at University of Michigan; Psychology of Consciousness. However, this wasn’t a typical college course on consciousness that focused on brain and behavior. Instead, we discussed topics like remote viewing, precognition, and lucid dreaming and read about consciousness from different perspectives (e.g., Ken Wilber – “No Boundary”). At this time I was in touch with Daryl Bem and Dean Radin regarding their work on precognition and realized what little work had actually been done investigating implicit or unconscious precognition using basic cognitive psychology paradigms and methodology that I had been learning about in graduate school (measuring variables like reaction time and error rates). Towards the end of my time at U of M, I began developing and testing out my own basic precognition paradigms. Although this work was understandably treated with skepticism, I was lucky to have found mentors that allowed me the freedom to explore this work; and perhaps much to their surprise, I was finding results that seemed to support the hypothesis of precognition. As timing would have it, just as I was graduating from U of M in 2008, Dr. Jonathan Schooler was about to move to the University of California, Santa Barbara, and with a 3-year grant to study precognition and other forms ‘anamolous cognition’, he was looking for a post-doc and I was looking for a job. Now it’s been over six years that I have had the privilege of working with Dr. Schooler in the META lab, first as a post-doc and now a project scientist at UCSB in the Department of Psychological and Brain Sciences. At UCSB, I’ve found a great research environment where I’ve been able to continue work on precognition with his support and guidance, and also work on topics related to consciousness and cognition that actually turn out to be quite relevant to the work on precognition; specifically, the role of attention, or more specifically the lack of attention (i.e., mind-wandering) and meta-awareness on task performance. Now with over thirty publications in mainstream journals, and serving as a reviewer for articles, I have a great deal of experience developing and critiquing experimental designs and statistical analyses. I think this in particular has allowed me to create tight experimental protocols and given me a keen eye for difficult to detect confounds which is critical in this kind of work. So it was extremely exciting to get connected with Dr. Stephen Baumgart this past year, who not only has a similar vision for approaching this work on precognition in an unbiased and rigorous way, but was also willing to put in the seed money for the lab out of his own pocket while we seek outside funding to keep the lab sustainable. As mentioned in our earlier post, headway on this difficult topic will take a concerted effort, and with the TANC lab, we hope to have the opportunity to do just that. By building on the work we have already done, I think we are in a great position to make some real progress on this important topic which has such profound implications. In future blog posts, I’ll be discussing this earlier work in more detail and my own views on the current controversy in the field. Stay tuned! Your first blog is very interesting and I look forward to reading future blogs. I have often wondered why when I wake up from sleep, many times I cannot remember my dreams even though I knew I dreamt. By the way, the word “dreamt”, if in fact a word, is the only word in the english language that I am aware of that ends in the letters “mt”. Sometimes I know I am dreaming while asleep. It seems real but I know it is a dream. I generally remember the dream upon awakening but cannot remember the dream later. 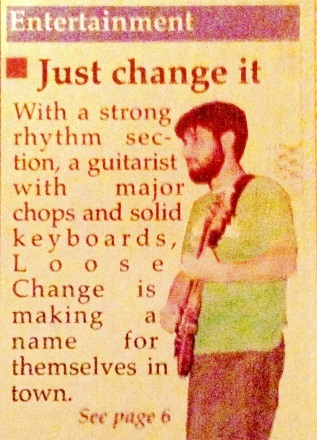 I look forward to your future blogs. Thanks for your comment! One of the best ways to improve dream recall is to keep a dream journal. It’s interesting that just getting into habit of writing down dreams improves memory for dreams. Thank you so much for your comment and interest in the TANC Lab. We appreciate your positive feedback!